Firm and scoured snow surfaces near and above treeline, 1-2 inches of moist snow below. Strong NW winds transporting snow, though no new wind slab formation seen. No old wind slabs seen. 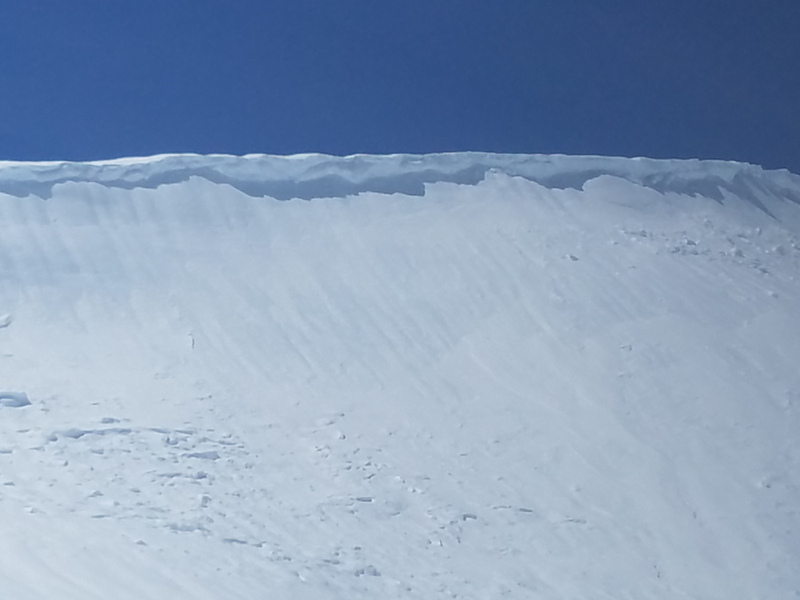 Cornices mostly intact after warm storms. 3 D1-D2 size wet loose avalanches on east, west, and south facing aspects.